Are you having difficulty navigating the front steps of your metro Atlanta home, or struggling to get in and out of the back or side door off of a deck? 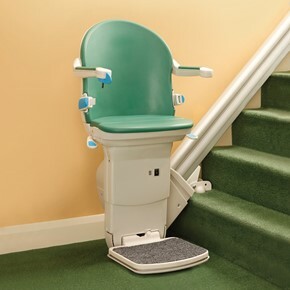 Handicare now offers a reliable and efficient deck and porch lift – it’s the Sterling 9000. The Sterling 9000 deck and porch lift is different from every other vertical stair lift available today, offering a unique twin rack and pinion drive that provides an especially quiet and smooth ride. 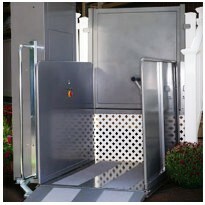 This lift meets and exceeds national industry engineering and safety standards. 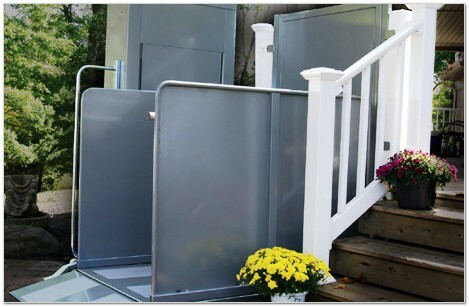 An optional landing gate is available for additional safety as you access your metro Atlanta home. 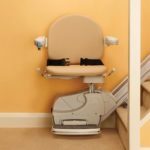 Selecting a new stair lift for your home can be very challenging. 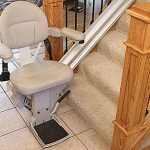 Atlanta Home Modifications has produced a series of articles that help you determine what type of a stair-lift you need. 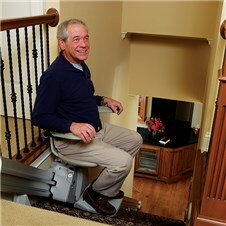 Visit the Stair Lifts for Atlanta website today for more information about How to Select a Stair Lift. If you are interested in speaking with a Georgia Certified Stair Lift expert, contact Stair Lifts for Atlanta or Atlanta Home Modifications by calling 770.880.3405, today. 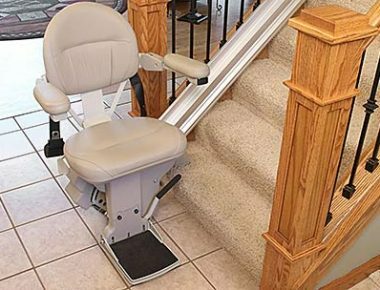 We will be happy to schedule a complimentary in-home appointment with you in your metro Atlanta home to discuss your stair lift and accessibility needs. 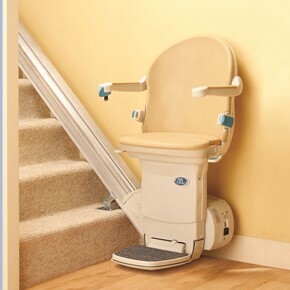 Please call us at 770.880.3405, today. 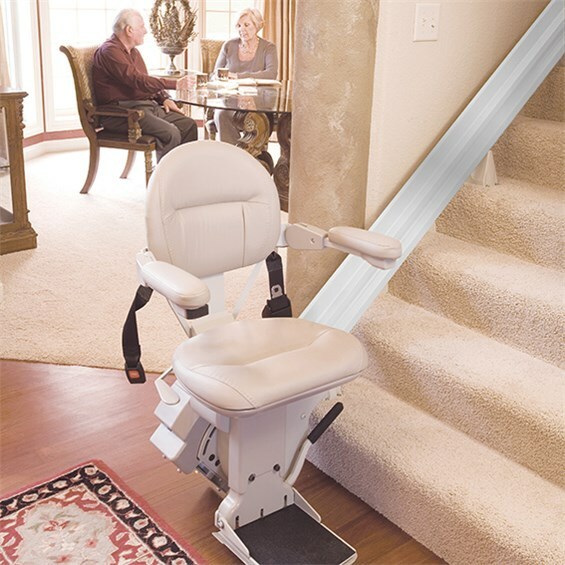 This entry was posted in Platform Stairlifts, Sterling Stairlifts from Handicare, The Atlanta Home Modifications and tagged Ameriglide Savaria Sterling Stairlifts, Atlanta metropolitan area, Handicare Sterling 9000 Porch Deck Vertical Lift, The Atlanta Home Modifications, The Best Metro Atlanta Deck & Porch Lift -- Handicare's Sterling 9000. Bookmark the permalink.